Outside media, school newspapers, and other news articles: Subjects regarding the Member Teams, the NCDA, or League events. It is with great pleasure and excitement that on behalf of the NCDA Executive Board, we are pleased to announce the official partnership between the National Collegiate Dodgeball Association and SAVAGE Apparel. This marks the first corporate partnership between the NCDA and an outside vendor. NCDA Member Teams will receive excellent deals on handsome jerseys and Event gear from SAVAGE. SAVAGE is also the official apparel sponsor for Nationals 2017, hosted by University of Kentucky, and Nationals 2018, host TBD. Team leaders will receive informational packets for ordering through SAVAGE in the very near future. Please check out SAVAGE’s landing page for the NCDA at http://savageultimate.com/pages/ncda which includes the rates given to NCDA Member Teams. Any questions or concerns for this partnership can be directed at the NCDA Executive Board by sending an email to ncdadodgeball@gmail.com. DALLAS, TX – Office of the Treasurer: In a 5-0 vote of the Executive Board (two voting members abstaining), the Board has decided to increase the annual league dues for each Member Team. Commencing July 1, 2016, the membership dues per team will increase $10, from $100 to $110 per annum. December 31, 2016 will remain the deadline for member dues submission to the NCDA. There were many reasons supporting this increase that the Board considered, which ultimately drove the Board to approve this increase in dues. The first is the standard inflation of the USD. The League has not adjusted dues to concur with inflation for several years, and the Board feels it is time to catch up with past inflation, as well as get ahead on the continual inflation going forward. The slight increase in league dues will also help the Executive Board facilitate league expansion through methods of minimalistic travel stipends for members of the NCDA Ambassadors to assist the organization in its growth and development campaign. Per section 7.1.1 of the NCDA bylaws, membership dues are subject to change with an adequate notice to the Member Teams of at least six months from the due date. At the time of this release, dues are to be submitted to the NCDA more than six months in the future. The bylaw will also be updated to reflect the new amount of $110 annually at the start of the new fiscal year. The current bylaw can be found here. Please reach out to Mike McNicholas, Treasurer, at ncdadodgeball@gmail.com, or another member of the Executive Board with any questions, comments, or concerns. It is that time of year again! 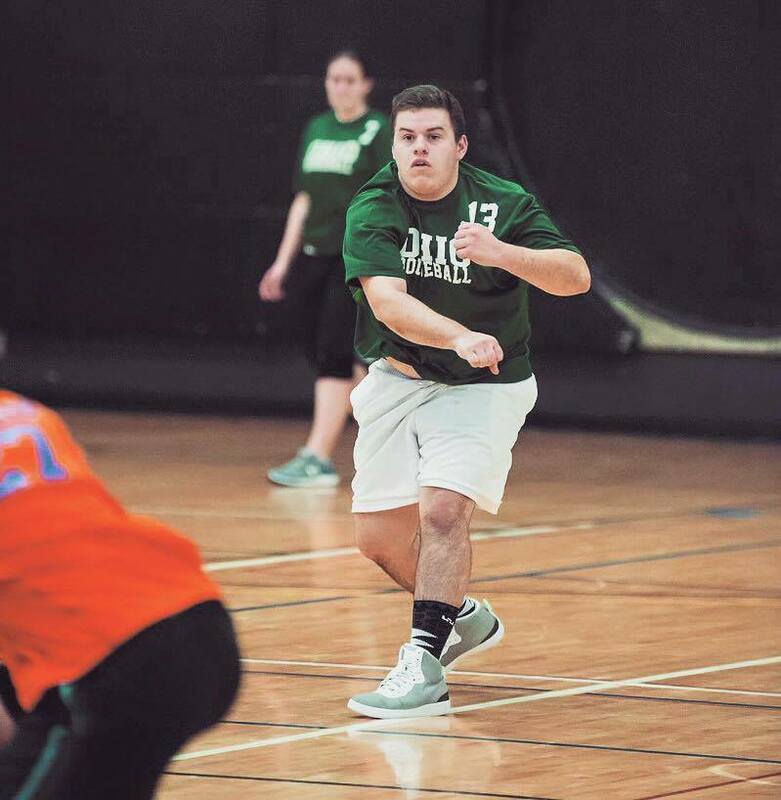 The 2015-16 National Collegiate Dodgeball Association’s season came to a close just a few short weeks ago. All of the votes are finally in, so we can now present to you the 2016 All-American Team. Congratulations to these 15 gentlemen for their incredible individual performances this year. Becoming an All-American is no small accomplishment. Listed below are the 15 All-Americans determined by a league wide vote. This list is in preferential order with #1 being the 2016 MVP. Below each name is a small description of the player and his successes this year. These brief descriptions were written by a few different members of the NCDA Content Team. All Star Draft Sponsored by Savage Apparel Co. Listed below is the order. The team Captains are listed next to their picks. Author Kevin BaileyPosted on April 11, 2016 March 27, 2017 Categories Nationals, Outside Press, The FeedTags nationals 2016Leave a comment on All Star Draft Sponsored by Savage Apparel Co. The 2016 NCDA All Star Game Participants – Presented by Savage Apparel Co. This year’s College Dodgeball All Star Game will be a bit different than in years past. In 2016, the National Collegiate Dodgeball Association has paired with Savage Apparel Co. for the event. The team uniforms for this match will be provided by this apparel brand at a discounted price. Dry-fit customization uniforms is a great new addition to one of the NCDA’s most recognizable National Tournament traditions: The All Star Game. This year’s game will feature two players from each NCDA team, with a draft taking place before Nationals weekend. Dylan Fettig and Mike McNicholas will be the honorary captains for one side, while Felix Perrone and Zigmas Maloni will captain the other squad. These four executive board members will rotate picks during the 2016 All Star Draft as they pick their roster for the game. *Let us know in the comment section who your top picks would be if you were an All Star Game team captain! Author Kevin BaileyPosted on March 31, 2016 March 27, 2017 Categories Nationals, Outside Press, Previews, The FeedTags All Star Game, nationals 2016Leave a comment on The 2016 NCDA All Star Game Participants – Presented by Savage Apparel Co. The National Dodgeball League is hosting the 2013 Dodgeball World Championship in Las Vegas, NV. This is the 10th tournament, and it will feature numerous individual tournaments within the Championship. It also will feature the entire regular season of the NDL. The NDL has a different ruleset than the NCDA, but it’s not too different to the point where the NCDAers will be fish out of water when they play. Three NCDA teams sent players to the Ultimate Dodgeball Qualifiers at Skyzones across the country this past weekend, and two of them won! Grand Valley and Western Kentucky both won their local qualifiers, which means they will be waiting to hear back to see if they qualified for the Las Vegas Finals. Rochester Institute of Technology also competed, but finished second in their qualifier. You can check out my previous post on the tournament here. Want More NCDA in Your Life? Two of our writers, NCDA Chief of Content Sam Hiller and Content Writer Sean Smith have created Twitter accounts to keep you updated with all the dodgeball info you love! Author hiller87Posted on July 15, 2013 November 2, 2013 Categories Outside Press, The FeedLeave a comment on Want More NCDA in Your Life?